Karen Dreyfus ranks high among the leading American violists of the current era. She maintains a richly varied career, dedicated to concertizing in solo, orchestral and chamber music settings, to her wide-ranging recordings, and to teaching. Dreyfus began violin studies from an early age with her father, a member of the Philadelphia Orchestra. Soon adopting the viola, her teachers included Leonard Mogill, Heidi Castleman and Martha Katz. Dreyfus subsequently graduated from Curtis Institute of Music, where she studied with Karen Tuttle and Michael Tree. Maintaining an international performance schedule, among such groupings as Musicians From Marlboro, the New York Philomusica Chamber Ensemble, Theater Chamber Players of the Kennedy Center, Orpheus Chamber Orchestra and the New York Philharmonic, Dreyfus has collaborated in recital with Yehudi Menuhin at Carnegie Hall, and has concertized alongside such artists as Rudolf Serkin, Alexander Schneider, Leon Fleisher, Chick Corea, and members of the Guarneri Quartet. She is also a founding member of the Lyric Piano Quartet and the Amerigo Trio. Karen Dreyfus has recorded extensively, as a recitalist, an orchestral soloist, and as a chamber musician. Her premiere recital recording, entitled Romanze, for Bridge Records, was received with substantial critical acclaim. Her subsequent recording highlights include the William Walton Viola Concerto with the Warsaw National Philharmonic Orchestra, and Mozart’s Sinfonia Concertante, in tandem with violinist Glenn Dicterow and the same orchestra. The American composer William Thomas McKinley wrote his Concert Variations as well as Viola Concerto No. 3 expressly for Dreyfus and Dicterow, who recorded the compositions for the MMC label, again with the Warsaw National Philharmonic Orchestra, led by Carl St.Clair. With the Lyric Piano Quartet, she has recorded Strauss, Turina and Dvorak. Dreyfus was invited to join the viola faculty of the Manhattan School of Music in 1991, and began teaching orchestral repertoire at the school a decade later. She since added an affiliation at the Juilliard School, teaching a sonata class and chamber music. Dreyfus’s festival participations are numerous, including performances at the Marlboro Music Festival, Casals, Tannery Pond Concerts, the Seattle Chamber Music Society Summer Festival, and Lorin Maazel’s Castleton (Virginia) Festival, with teaching stints and masterclasses at the Music Academy of the West, Bowdoin International Music Festival, Marrowstone Music Festival, the Brevard Music Center and the Icicle Creek Music Festival. In the summer of 2015 Karen Dreyfus joined the viola faculty at the Music Academy of the West where she is also co-director of chamber music. She has distinguished herself as a recipient of many prizes both in this country and abroad, including the Naumburg Viola Competition (1982), the Lionel Tertis Competition (1980), and the Washington International Competition (1979). 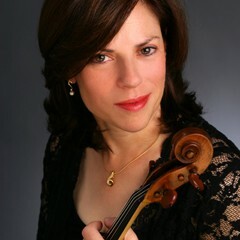 Karen Dreyfus joins the faculty of the USC Thornton School of Music in 2013 as Director of Chamber Music and Associate Professor of Viola.